BSP Governor Benjamin Diokno said the latest figure was also the smallest in three months or since reaching only $2.58 billion in November last year. 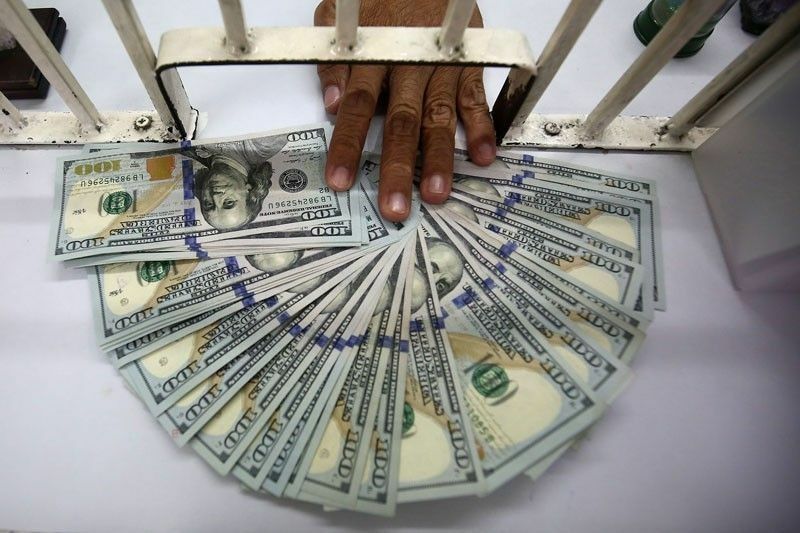 MANILA, Philippines — Remittances from overseas Filipino workers grew by only 1.2 percent to $2.56 billion in February, the slowest growth since August last year when inflow grew by just 1.4 percent, the Bangko Sentral ng Pilipinas (BSP) reported yesterday. Despite the notable slowdown in February, personal remittances – consisting of cash and non-cash items that flow through both formal or via electronic wire and informal channels such as money or goods carried across borders – managed to climb by 2.3 percent to $5.3 billion in the first two months from $5.18 billion in the same period last year. Michael Ricafort, economics and industry research division head at Rizal Commercial Banking Corp., said the relatively slower growth in remittances in February may have been largely brought about by the slower global economic growth amid the lingering US-China trade war. He said uncertainties related to Brexit also slowed down the economies of the United Kingdom, European Union, and their major trading partners around the world. “These external developments slowed down global trade, as well as lowered manufacturing, and services activities in the world’s biggest economies, thereby could have resulted to slower demand for overseas Filipino workers,” he said. According to BSP data, personal remittances from sea-and land-based Filipino workers with work contracts of less than one year grew by 8.5 percent to $570 million in February from $530 million in the same month last year, while that of land-based workers with contracts of one year or more declined by 0.43 percent to $1.93 billion from $1.94 billion. On the other hand, cash remittances coursed through banks amounted to $2.3 billion in February, the lowest in three months or since reaching $2.32 billion last November. The 1.5 percent increase in February was also the slowest in six months or since cash remittances declined by 0.9 percent in August last year. “This growth was supported by the increase in remittances from both land-based workers with $3.73 billion and sea-based workers with $1.06 billion, which rose by one percent and 10.5 percent, respectively,” he said. According to Diokno, the US cornered the highest share of overall remittances with 35.5 percent followed by Saudi Arabia, Singapore, United Kingdom, United Arab Emirates, Japan, Canada, Qatar, Hong Kong, and Germany. Remittances remained a major driver of domestic consumption, accounting for 9.7 percent of gross domestic product (GDP) and 8.1 percent of gross national income (GNI) in 2018. The BSP has lowered its growth target for both personal and cash remittances to three percent from the original target of four percent for 2019. The peso depreciated 5.3 percent to 52.58 to $1 last year from 49.93 to $1 in 2017 amid strong outflows due to the series of rate hikes by the US Federal Reserve as well as the full blown trade war between Washington and Beijing. However, the local currency has strengthened and gained 12.5 centavos to close at 51.64 to $1 yesterday from Friday’s 51.765 to $1.